Auditions for our new formation teams will take place on Saturday 26th May & Saturday 2nd June. We are looking for new members to join one of our 5 teams. We have places available for experienced and inexperienced dancers so please contact us if you would like more information. It is hoped that there will once again be inclusion for the team members in Channel 5’s hit TV show Baby Ballroom Series 3 (look out for them all in Series 2 which is currently showing on 5STAR on Thursdays at 9pm). Children of all ages are welcome to apply. We train our formation teams to a very high level and help with sponsorship and funding towards outfits and training. 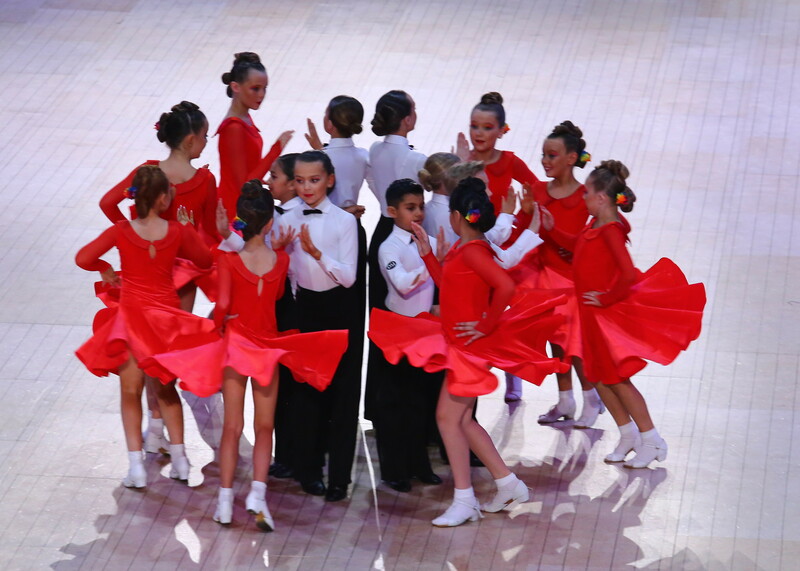 Children will perform at the worlds most famous ballroom – the Blackpool Wintergardens as well as at other prestige events. We have a great family atmosphere in our school – its really friendly and welcoming and we have won the UK Top Teacher of the Year Award for 13 years. Our school is also the centre of the Baby Ballroom TV series which has now been broadcast to over 50 countries world wide with over 40 million viewers. Auditions will be fun and friendly and children will be taught as a group, a short section of a formation routine so they get a taste for it and we can see which team would suit their ability best. Feel free to pop along and see what its all about at: Smestow School, Windmill Crescent, Castlecroft, Wolverhampton, WV3 8HU. Smestow Classes closed Saturday, 24th March for one week only.